With the Olympics going full swing and the North Korean leader’s sister attending in a smooze campaign, that has the South Korean Leader and press falling all over her in slobbering praise. No one seems to be keeping an eye on her brother, the North Korean Leader, Crazy Kim, his goal is to arm his missiles with nuclear warheads. This will pose a direct military threat to South Korea and a Nuclear threat to the world, giving Kim the tool he needs for extortion. North Korea is flat broke and is being squeezed harder each day, and it’s a race to see who will blink. 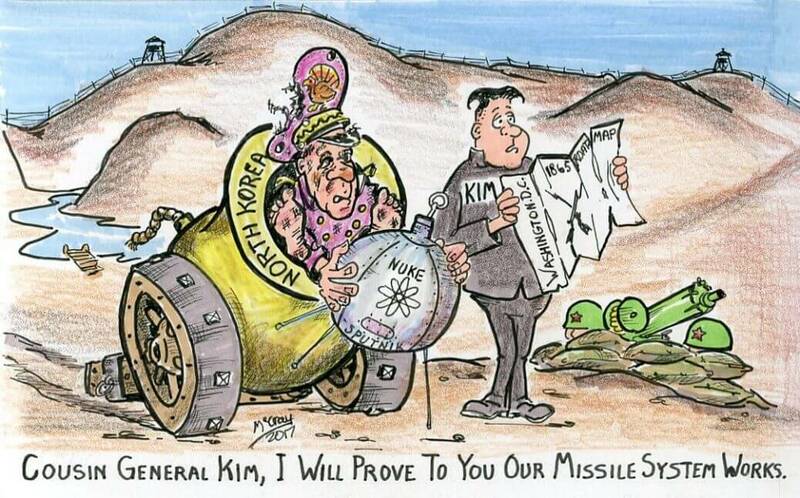 You can bet that Kim will fire off one of his missiles soon to remind everyone to pay attention to him.